MEDFORIST is a project of the EUMEDIS initiative of the European Union. It lasts 34 months, having started in August 2002, and gathers 16 partners. This project aims at implementing an Euro-Mediterranean network for sharing pedagogic resources in e-business. The Mediterranean Innovation and Research Action (MIRA) is an INCO-Net Coordination Action financed by the International Cooperation - Capacities Program of the 7th Framework Program of the European Union. It aims at developing a scientific and technological partnership between the European Union (EU) and the Mediterranean Partner Countries (MPC), by the use of dialogue platforms, identifying topics of common scientific interest, promoting the creation of an Observatory of EU-MPC scientific cooperation, and promoting the development of the Euro-Mediterranean Innovation Space and other join initiatives with a research component such as the Horizon2020 Program of de-contamination of the Mediterranean. Moreover, it support to the functioning of the Monitoring Committee for Euro-Mediterranean Cooperation in S&T (MoCo). The first objective of Join-MED is to create a sustainable network of ICT research organisations in the Medi-terranean Partner Countries (MPC) and Europe, reinforcing the Research Cooperation between these two regions on a wider scale. To achieve this, Join-MED will organise a series of networking events in the MPC that will bring researchers from different MPC and EU together. Furthermore, it will support the creation of institutionalised networks on a cross-regional basis, suggesting appropriate methodologies for accomplishing this. 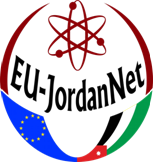 EU-JordanNet aims at increasing research cooperation between Jordan and Europe. The Focus will is on three thematic areas: Environment, Health and ICT. A specific awareness activity will focus on the new Marie Curie activities. The project will also develop a S&T Observatory on Jordanian Research and Technology co-operation with Europe, enabling the research institution in Jordan to follow in quantitative and qualitative terms its position in Jordanian and world scientific and technological production. Following the successful activities of the first EU-JordanNet project, EU-JordanNet II aims at strengthening research, development and innovation cooperation between Jordan and Europe, with a special emphasis on Jordanian SMEs. It will directly support researchers and developers who have concrete ideas for proposals through step-by-step coaching, it will assist in partner search in Europe and will also provide small mobility grants that will allow a 'training-on-the-job' at European organisations. Support through a flexible modular approach the Dialogue between EU and the Region by preparing focused Position Papers on the issues relevant for the EU-MPC research cooperation in Horizon 2020. Raise awareness on the Horizon 2020 Calls and assist the organisations in the region to prepare proposals and find partners in order to increase their participation in the Programme. Support the EC in the preparation of future Horizon 2020 work-programmes, by identifying the strengths and opportunities in the MPC (through the identified and validated ICT priorities) for mutually beneficial cooperation. Support the coordination of International Cooperation instruments in the MPC by exploiting synergies of running projects and make recommendations for future INCO activities in H2020. The overarching aim of the J-ERAcenter is to contribute to the effective integration of Jordan into ERA, through building the National Energy Research Centre’s (NERC) organisational, strategic and human capacities to actively participate in European S&T partnerships and execute large-scale projects in the key area of Renewable Energy, with a view to creating a centre of excellence within Jordan and actively promoting further dissemination and replication in the region. The aim of the project is to Forge Ties and Build Bridges between Mediterranean Higher Education Institutions in order to stimulate students exchange and to develop long-term partnership in line with the external dimension of the Bologna Process and the last Euro-Mediterranean cooperation initiatives especially the building up of the Euro-Mediterranean Higher Education & Research Area. ALTAIR project specifically aims at strengthening the foundations for the systematic implementation of a coherent quality culture within partners’ institutions. The action will achieve the objective through capacity building in Egypt, Jordan, Palestinian territories, Lebanon and Morocco involving two universities per country and comprising the Ministries of Higher Education through extensive training programmes. On the other hand, the action will contribute to the strengthening of physical infrastructure in relation to the structures (Q-Units within the Universities) responsible for the implementation of quality assurance mechanisms and the establishment of effective and necessary information system within participating Universities. The purpose of the project is to contribute to the development of international relations (IRs) management in HEIs in the MEDA region, in particular in Algeria, Tunisia, Lebanon, Egypt, Morocco, and Jordan. The project partnership is comprised of 3 European partners with expertise in institutional internationalization (UA, UPMF, and TUGM) and 12 partners from the MEDA region, hailing from Algeria, Tunisia, Egypt, Jordan, Morocco and Lebanon (2 per country). All seek to improve their international relations management. The project will focus on strengthening the know-how and management capacities of the staff of the partner universities, and to build efficient structures for international relations. The project includes different types of actions, including on-site observation sessions, human resources development for both top-level management (Strategic level) and IRO staff (Practical level), the development of strategic internationalization plans for the participant institutions and, the main output, a formalized regional network dedicated to internationalization. All the activities are designed to be complementary and drive the participants towards a more innovative and united approach to internationalisation and the management of international relations. This project aimed at simultaneously supporting the Southern Mediterranean partner institutions to modernise their study programme by creating new ones and increasing their capacities in terms of services to students and openness to the society. The objective was therefore to modernise the existing study programmes in each institution by introducing two new subjects, “Technological management” and “Management of service activities”. According to the needs of each Southern Mediterranean partner institution, the modernisation was realised by introducing new subjects and creating new study programmes and Master level degrees and or training programmes for enterprises’ managers. The project is born from real needs identified via research and past experiences. This includes knowledge that increased autonomy and efficiency are desirable for Financial Management (FM) in the partner countries, and that this is a strategic goal for many. Lend specific support to institutional demands for increased efficiency, autonomy and transparency in FM in partnering Southern Neighbouring Area (SNA) HEIs, in line with national schemes & regional Tempus priorities. The ASPIRE project aims to enhance the capacity of the six consortium universities in Jordan, Lebanon and Palestine by enabling them to develop sustainable programmes in entrepreneurship in their countries. The project also aims to enhance the cooperation between universities in the region and with EU partner institutions. The EU partners of ASPIRE have a rich experience of entrepreneurship education and a successful track record of previous Tempus projects which will ensure that the consortium will be able to meet the project objectives. The project addresses the Jordan national priority for joint project of curricula reform, specifically modernisation of undergraduate curricula in renewable energy with emphasis on 3 cycle structure, ECTS and degree recognition. The project aims to develop and implement a new national undergraduate degree programme in renewable energy in Jordanian universities according to EU practices. It will foster significant development in the professional human capacity of Jordanian universities and allow strong partnership with EU partners. This proposal is highly supported the Higher Education Accreditation Commission in Jordan. MEDAWEL provides HEIs in SNA with a holistic approach to student services (SS) for increased student wellbeing and applicable service offers via targeted planning and development on institutional, national and regional levels, in line with national goals and regional Tempus priorities. MEDAWEL works in this context to improve service offer, increase regional dialogue and student's institutional involvement. The project commences with a benchmarking exercise to identify relative strengths and offers capacity building training actions. In parallel, MEDAWEL provokes stakeholder interaction via roundtables, a dedicated network and regional dissemination actions and events. A specific strand of MEDAWEL is dedicated to students, promoting their involvement in decision making and needs analysis from a national student survey. Lastly, participating HEIs select services from a 'menu' and implement two services before project end. A model was produced to support Jordanian HEIs, and their Quality Assurance Bureaus, to improve internal QA in line with new national HE Accreditation Council requirements and international expectations. The Model will be based on analyses of needs and capacities in Jordanian HEIs and the experiences and best practices from the successful QA Action Line of the Bologna Process. Workshops, consultations and ‘matching’ exercises will contribute relevant material from Jordanian and European HE institutions, QA agencies and consortia. The Model will be piloted in Jordanian HEIs and complemented by training and capacity building to support its sustainability. European experiences in building productive relationships between HEIs and their QA agencies will inform the effective implementation of the Model and reflect the importance of autonomous HEIs meeting national/international expectations whilst still working in different contexts. The MSC.ESE project with the reference number 530260-TEMPUS-1-2012-1-DE-TEMPUS-JPCR aims at creating a master’s curriculum in ESE at JO/SY/TN/EG universities to be taught in a new master’s programme that will be established through the project at one university in each country (4 in total) where the lectures will take place. The curriculum will include also single-subject courses which target professionals and employees from interested companies. The project will ensure the ability of targeted universities to offer an advanced curriculum in ESE based on successful course materials, teaching methods and faculty expertise available at EU universities. Courses will be adapted to JO/SY/TN/EG teaching practices and business environment. The RecoNow project aims at improving and increasing the quality of student mobility within Middle Eastern and European higher education systems. The project tackles poor recognition of foreign qualifications as one of the main challenges that hinder international student mobility. Specific expertise in the credential evaluation field, access to official, comprehensive and focused information on different HE systems, study programmes, institutions and their recognition procedures, are among the key issues to be improved in order to guarantee smooth recognition procedures and to foster cross-border student mobility. The project runs from December 2013 until May 2016 in the framework of the Tempus Programme. EQTeL is a Structural Measures project which completely addresses "Governance Reform” under the theme: Introduction of Quality Assurance. This is a national priority for Jordan. It will modernise and reform teaching methodologies. The project has been designed to improve the quality and relevance of technology-enhanced in Jordan trough developing and implementing new accreditation standards, guidelines and procedures for distance learning study programs according to EU practices. This proposal has been instigated and is highly supported by Ministry of Higher Education and Scientific Research as well as the Higher Education Accreditation Commission. eQTeL will focus on developing a quality assurance framework to foster in technology-enhanced learning in university education in Jordan, and establishing a sustainable capacity building programme to support faculty implement technology in education. An internationalization management model in partner institutions will be developed in order to provide appropriate knowledge and means to improve internationalization actions and activities that contribute to the sustainability of the international dimension of partner institutions in south neighbouring countries. The model aims at improving the institutional management processes of internationalization through establishing governance procedures that enhance internationalization within the university hierarchy of partner institutions, building their capacity, empowering them with references and guidelines in alignment to EU practices and encouraging them to share best-practices and develop strong partnership with EU partners. The model will be based on analyses of needs and capacities in partner HEIs and the experiences and best practices from EU partner institutions. This will then lead to producing a set of principles, priorities, guidelines and procedures to support HEIs to improve management of the internationalization processes at the institutional level. The importance of relations between universities and their socio-economic environment has become a topical issue in Europe in the last 20 years, and has also been stressed within the implementation of the Bologna process. Whereas in most European countries, relations between Universities and enterprises have been developed and intensified during the past decade, Jordanian Universities are currently only starting to create strategies and instruments in this domain. The project is aimed at stimulating the development of a Jordanian university enterprise cooperation culture, by promoting good practice for implementing university based enterprise liaison offices in 8 Jordanian Universities, creation of capacities in human resources, promoting of coherent information and communication strategies among the Universities’ communities and within the local business environment as well as providing necessary strategic input for the creation of long-term partnerships and collaborative research with enterprises. The overarching goal of OpenMed is to raise awareness and facilitate the adoption of Open Educational Resources (OER) and Open Educational Practices (OEP) in the Arab Mediterranean countries, with a particular focus on higher education in Egypt, Jordan, Morocco and Palestine. OpenMed fosters the role of universities as knowledge providers not only to their on-campus students but also beyond the walls of institutions, especially towards disadvantaged groups (e.g. low income peoples, disabled students, people living in rural areas, learners at risk of low achievement, refugees). OpenMed is an international cooperation project co-funded by the Erasmus+ Capacity Building in Higher Education programme of the European Union during the period 15 October 2015-14 October 2018.
he wider objective of the project is to support the structural reform of the higher education system in Jordan, develop a qualifications framework for higher education in line with national priorities, and implement at different institutional levels. NQF-J shall provide a QF for higher education for implementation at institutional level and, importantly, set up the basis for a comprehensive NQF, and thus endeavours to establish an NQF model that identifies the generic expectations of all levels of higher educational programmes. These will be expressed as learning outcomes, mainly based on knowledge, skills and competences. The standards of qualifications at each level will be created and established through a number of activities in which descriptors will be determined, along with appropriate QA processes, by all stakeholders in higher education. There is a worldwide consensus today on the relevance of quality human resource management (HRM) for the optimisation of Higher Education Institutions’ performance. HEIs are facing increasingly complex contexts which require HRM models able to respond to new challenges in the selection, development and motivation of their staff. HR approaches focused on staff recruitment, organisation of employment contracts and salary payment are completely superseded by the necessity to take account of new issues, such as training, promotion and encouragement, development support and strategic planning for future needs. The project aims to promote HEI staff’s and students’ interdisciplinary skills through the development of innovative educational approaches to energy planning, able to support interaction among different disciplines (spatial planning, environment, engineering, landscape, etc.) and foster collaboration with research and business activities operating in the RES sector, thus keeping up with its continuous technological innovation. The project concentrates on strengthening and enhancing the role of higher education institutions and universities in innovation capacity building, technology transfer and commercialization of applied scientific research outcome in Jordan aiming at the creation of the essential environment for innovation in order to build a knowledge-based economy. EuNIT is a European project that aims, over 3 years (2016-2019), to increase international activity in Higher Education Institutions (HEI) in the Southern Mediterranean region. This project involves 16 partners and 6 associated partners from Croatia, France, Italy, Jordan, Lebanon, Libya and Spain and has been co-financed by the Erasmus+ programme for the amount of 1 million euros. 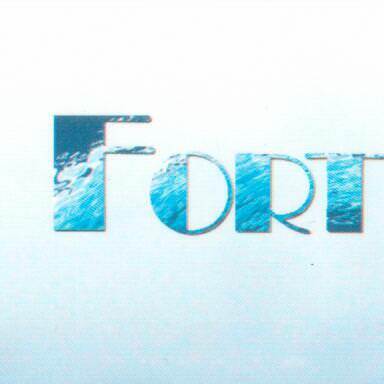 The FORC project seeks to build capacities to develop an integrated curriculum in forensic computing as pathways within the undergraduate degrees of the faculties of Information Technology and Law, using a student-centered adaptive learning approach based on the bologna processes. It aims to develop a pathways integrated within the current curricula, to bring continuity and achieve harmony across the programs. This pathway will be deployed at the four participating partner universities, two in Palestine and two in Jordan. JOVITAL adds a significant value to the teaching process in Jordan by empowering academic staff with modern teaching competencies. A comprehensive capacity building programme will be implemented to facilitate intensive know-how transfer between the consortium members to address the problems of outdated instructor-centred frontal teaching methods, limited physical academic mobility, and ineffective use of ICT in formal higher education in Jordan. to help universities to develop by themselves (from A to Z) a remote laboratory. The MediTec project will support and modernize the medical education in Jordan, Iraq, and Iran by establishing Innovative Training Centers with Immersive Medical Learning Platform and realistic simulation models in order to improve the practical and soft skills for students in medical education in Jordan, Iraq, and Iran. (PCs) at national and international level.